American Airlines offers a lot of flexibility for award redemption and you’re not just limited to flying on American Airlines. 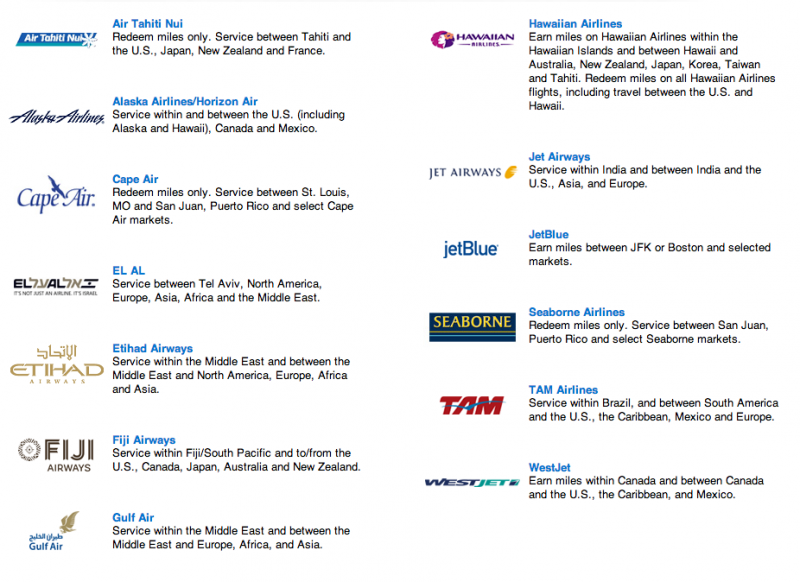 You have the options to book flights on the 12 oneworld alliance partner airlines and also have access to 13 American Airline partners. This lets you travel to almost anywhere in the world even if American Airlines doesn’t fly there. The fact that American Airlines is partnered with oneworld and additional partner airlines means that you’re options are not limited to American Airlines. The 25 airlines that you can book American Airlines miles on have routes spread across the globe and each partner services a unique region. By booking awards with stopovers, one-ways and open jaws you can basically travel anywhere and create the itinerary that gets you to the places you want to see and how you want to. 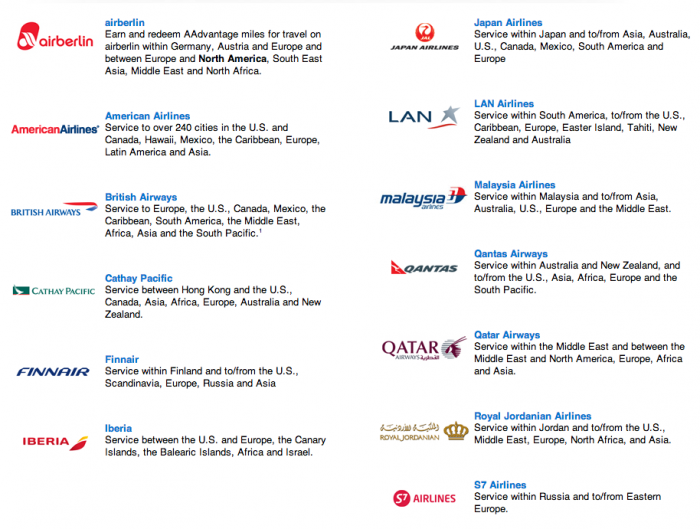 Since American Airlines is partnered up with 25 international airlines you have the option to fly with either American, its oneworld partners or its other partners. You will be hard pressed to find a destination that you can’t book an award to. If you’re making a reservation with a oneworld partner or an AA partner, you have to do it over the phone (unless it’s an Alaska Airline flight) with an AA agent because the American Airline site doesn’t allow you to search flights with partner airlines. However the AA site conveniently does show search results for Alaska Airlines. There is a $25 booking fee for making a reservation over the phone, but I would say that’s a small price to pay for being able to book the award to the destination you want. To make a reservation over the phone, call AA reservations at (800) 433-7300. While you can use your American Airline miles to book awards with partner airlines when AA doesn’t fly there, you can always book with a partner if you prefer the routing options, if there isn’t any more seating available, or if you just prefer the service on the partner airline. For example say you wanted to use your points on a flight from Los Angeles from to Istanbul. You have a couple of airline options that will get you to Istanbul using AA miles. Iberia, Finnair, and British Airways have flights that will get you to Turkey, but there aren’t that many options for flying with American Airlines. For different reasons, like avoiding high fuel surcharges, you may prefer to fly with one airline over another, but I will get into that in more detail later, including which airlines charge the highest fees and taxes onto your ticket. Codeshares with American Airlines on domestic flights come in handy for a few good reasons. There are a lot of small airports in the US and it wouldn’t make sense for American Airlines to keep scheduling flights to destinations that have, say 60,000 people living in small town, so they codeshare with airlines that do serve smaller airports. Rather than American Airlines investing and committing routes to and from certain destinations, they codeshare with partner airlines. These airlines usually have a few flights going out everyday and you can book through AA’s site using your AAdvantage miles, but the airplane is operated by a different airline. A good example of a domestic a codesharing flight would be flying to the Redmond Airport in Oregon from Los Angeles. AA flights into Redmond are codeshared and operated by SkyWest Airlines, so while you would be booking your flight through AA.com, you will be on a SkyWest airplane with SkyWest pilots, attendants and rules. If you want to make sure whether American Airlines or its partners fly to the destinations you want to go to, you can can check out their Where We Fly page. 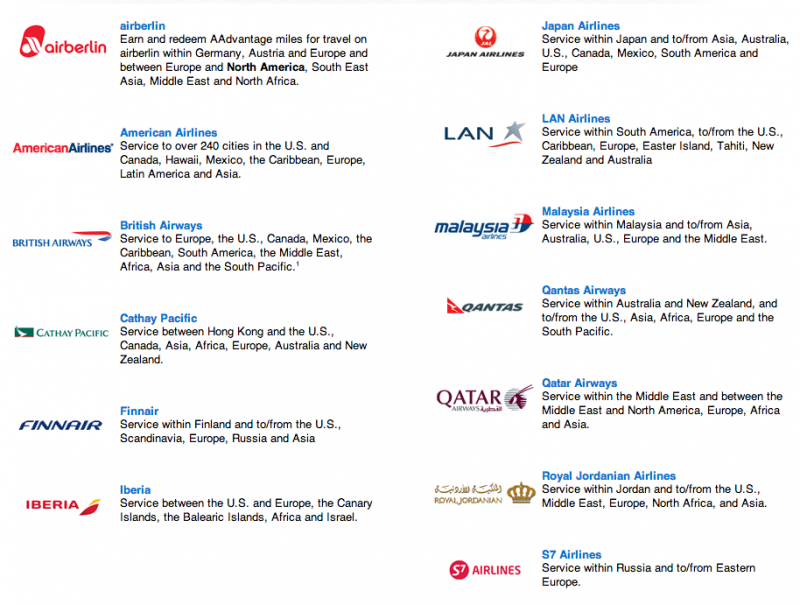 This tool shows all the routes that can be flown and which oneworld partner(s) will get you there.